Steph and Ayesha Curry’s relationship is like a fine wine: it gets better with age. The pair showed each other some love Sunday in honor of their sixth wedding anniversary, and it was clear from their sweet messages that their initial romantic spark from all those years ago had become a steady, glowing flame. Literal then and now! Happy 6th wedding anniversary my love! I don’t know where the time has gone. It definitely feels like just yesterday, except we have two babies and lack of sleep to show for it! Not to mention a ton of bomb memories. I love you so darn much that there’s not much I can say here because it won’t nearly amount to how I feel. 😘 “The man is the head, the woman is the neck and she can turn the head anyway she like.” 🎞📽 kidding! But goodness do you put up with my antics. And for that I love you 20x infinity. The NBA star had a mic drop post to share in return: an adorable video clip of the pair goofing off and dancing to music in their car. The pair, who met as teenagers through their church’s youth group, have a long and storied relationship. 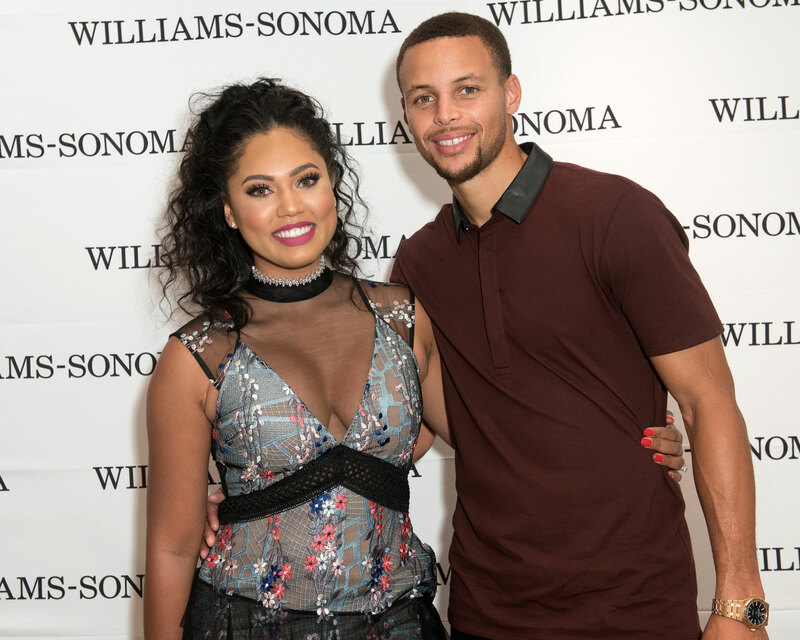 Though Steph was always interested in Ayesha, she wasn’t allowed to date in high school, so the pair remained friends until they both found themselves in Los Angeles when Steph was an aspiring basketball player and Ayesha was pursuing acting. The pair eventually ended up sharing their first kiss in the driveway of Steph’s parents house in Charlotte, North Carolina; Steph would also later propose to Ayesha in that exact same spot. He was 23 and she was 22. “I knew I had found the right woman and I wanted to start a life with her,” he told the magazine. Swoon! Be the first to comment on "Steph and Ayesha Curry’s Sixth Wedding Anniversary Posts Are Marriage Goals"